In April 2006, the Group received a special grant through Landcare Australia Limited to be spent on revegetation works in the coastal catchment. The Group consulted with the land managers, the Warrnambool City Council, and were given some site options to select a project from. 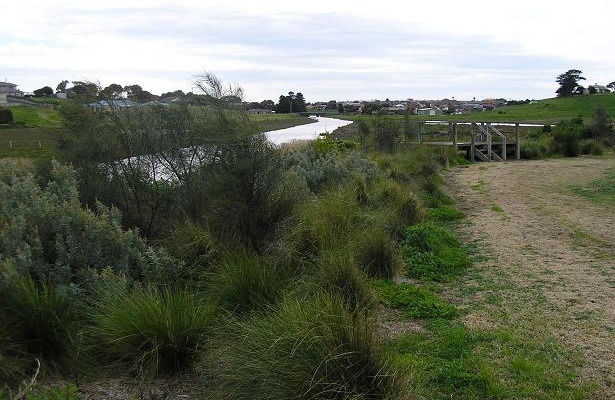 Eventually it was decided to start a riparian revegetation project on the banks of the Merri river estuary on a disused land fill site, just a few kilometers upstream from the river mouth and the Merri Marine Sanctuary. 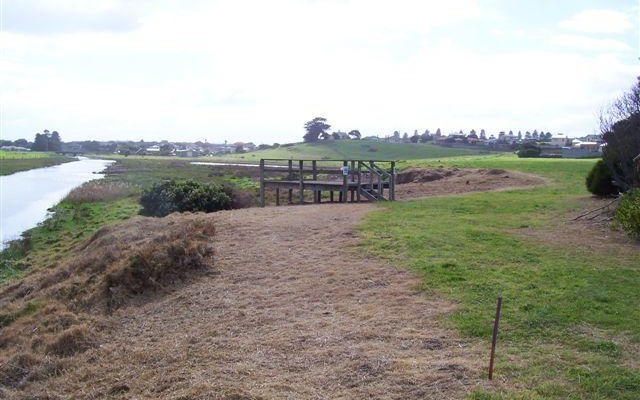 The area coincidently linked in with a riparian project directorially across the river by the group 10 years ago when it was formerly called Warrnambool City Landcare Group. The group selected a volunteer project coordinator, Ann Park and worked together in seeking the immediate advice from the CMA‘s Landcare Facilitator and Coastcare Coordinator, each helping to plan and steer the group in the right direction. They then liaised with the Warrnambool City Council, who offered to help clean up the site and oversee and formulate a weed control policy. The Council then involved the Work for the Dole group on site to implement the policy, getting it ready for our usage. As part of pre planting planning, the group’s coordinator formed an extraordinary partnership in the project with South West Tafe’s, Certificate 3 in Horticulture Students, and 2 classes from Merrivale Primary School. The Horticulture students, with the guidance from their teacher, developed a EVC species planting list, along with a site planting plan. The Merrivale PS students had visits from WCLG members in the school classrooms beforehand, discussing how to care for the environment and why they would be planting on the river bank. When the planting commenced, each of the TAFE students became a team leader and combined with a small group of PS students (with teachers present) to instruct and supervise the correct planting method of the trees and grasses. This was the Tafe Students first hands on experience in supervision, within their field of study and both level of students benefited immensely. It was a win / win situation for all concerned. The Planting day was also a great learning experience for all students and group members with the presence of the Water Watch facilitator who informed the students of the importance of habitat creation in a riparian area for both land and sea animals and the need for better water quality. A follow up community planting day was held with posters, flyers and press to advertise the event. Local community groups, families and numerous volunteers attended. The following year funding was secured from a 2nd Generation Grant and the continuation of partnerships with Glenelg Hopkins CMA, Warrnambool City Council, Coast Action Coastcare, SW Tafe, Merrivale Primary School, Warrnambool South Community Group, Rotary and the community at large. It has shown that we can all work together for a successful outcome. The group hopes to continue this successful project along the river bank for many years to come.